Learn about hydration with this quick and easy science activity. 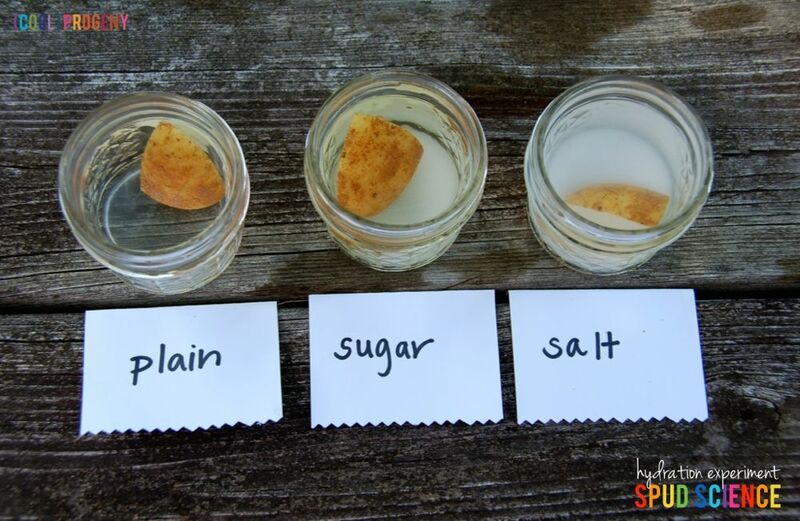 Let’s observe the reaction of the potatoes in each type of water to see the effects of hydration vs. dehydration! 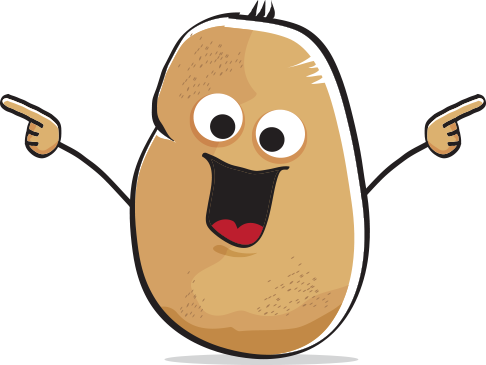 This summer science activity focuses on the effects of hydration on the body by using potatoes and household items! Kids can observe and feel the effects of plain, salt, and sugar water on the potatoes and how that effects how much water they retain. Why is the potato in plain water different from the ones in sugar and salt water? 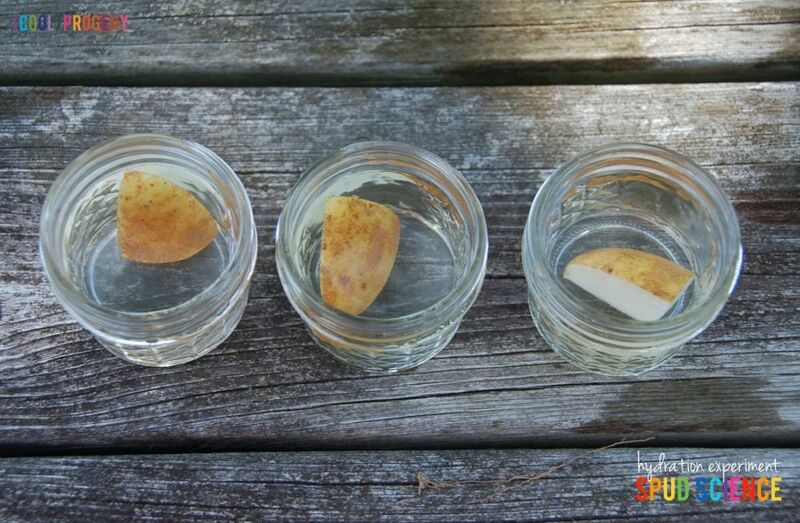 What do you think would happen if you placed the salt water potato back into plain water? BONUS: Make a connection! After playing outside for an hour, would soda or water hydrate you faster? Cut the potato into three even pieces. Leave the potato skins attached. Then add water to each saucer. Make sure it is enough water to cover the entire piece of potato. Label one plain, one salt, and one sugar. Next, add salt to the saucer labeled salt. Make sure it is at least two tablespoons and stir until it is completely dissolved. 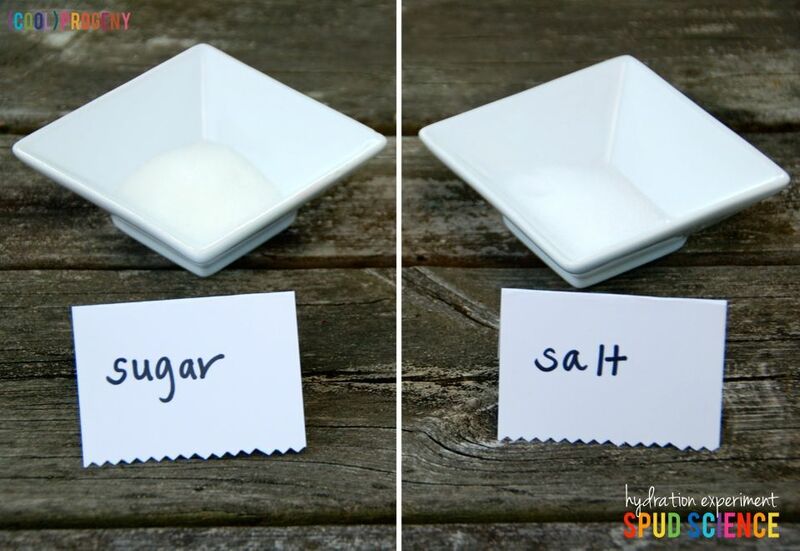 In the third saucer labeled sugar, add the same amount of sugar as you did salt. Leave the first saucer with plain water. 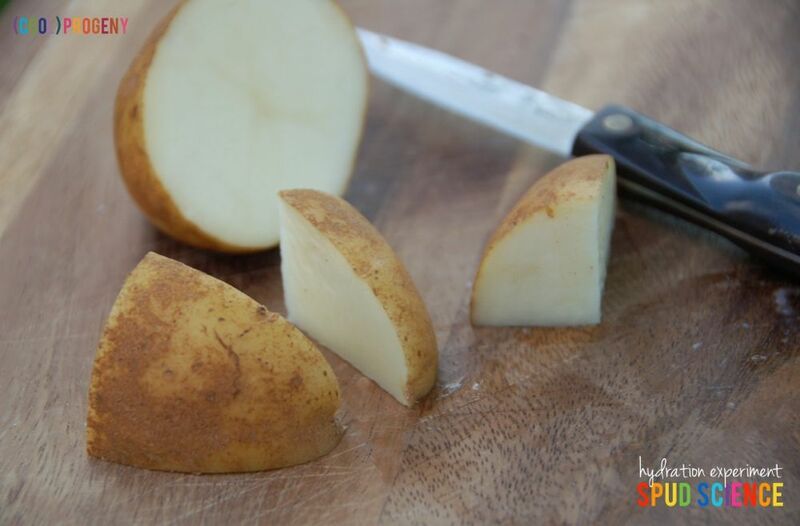 Leave the potato piece alone in the different types of water for at least 1-2 hours, then come back and observe.